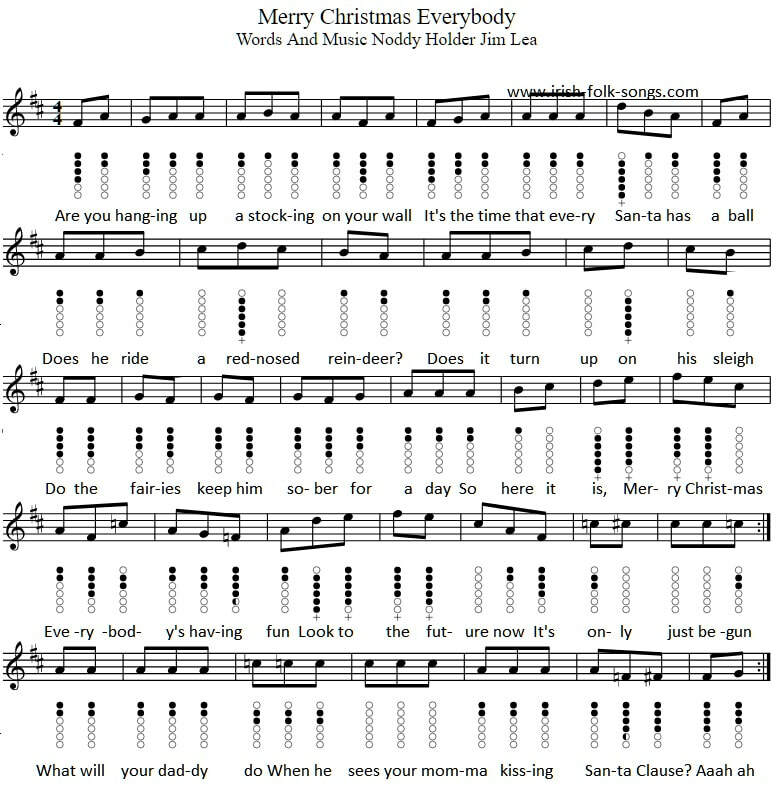 Merry Christmas Everybody Tin Whistle Music By Slade. This tune uses a couple of half covered holes on the tin whistle and may not be suitable to everybody. There no way I could see around it. The letter notes are included and the = sign means that the note is natural, which means if your playing the song on the piano keyboard it's the white note. The letter notes would also suit the recorder in the key of D.